Fitness fun at the roll of the dice! 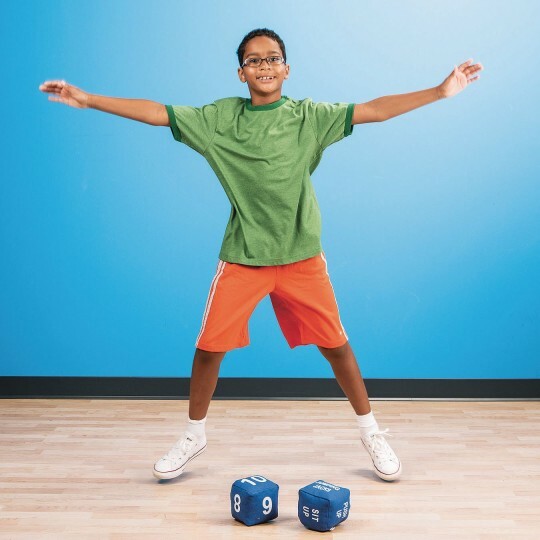 Roll 'em, then do the # of reps of the activity! 4 jumping jacks, 6 sit-ups, 10 push-ups, etc. Exercise instructions are on one die. Number of reps are on the other. Have tremendous fitness fun! 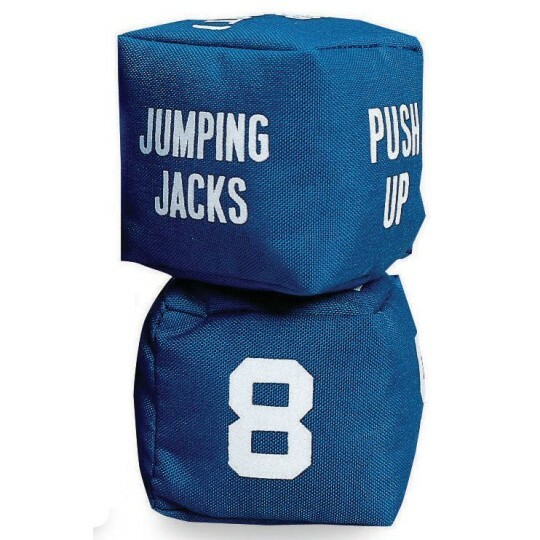 Roll the dice and then do as they say; 4 jumping jacks, 6 sit-ups or 10 push-ups! 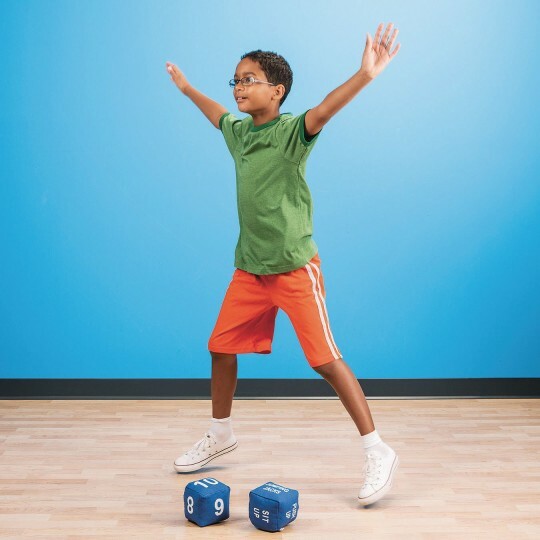 One die has fitness and exercise directions (toe touch, arm circles, jumping jacks, push ups, hop on one foot and leg lifts). The other has large screen-printed numbers (2, 4, 6, 8, 10 and 12). Colors may vary. Size: 4" x 4". Sold per pair. Huge Success and so much fun to use! I work with large groups of kids and we use these to warm up before recreational activities! 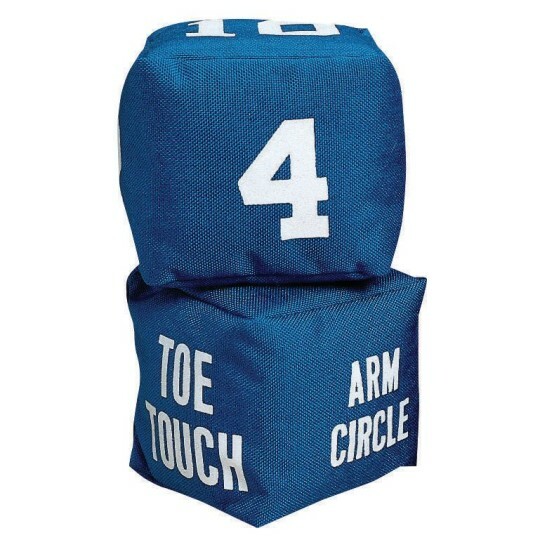 The kids absolutely love these dice and are always excited when we pull them out. 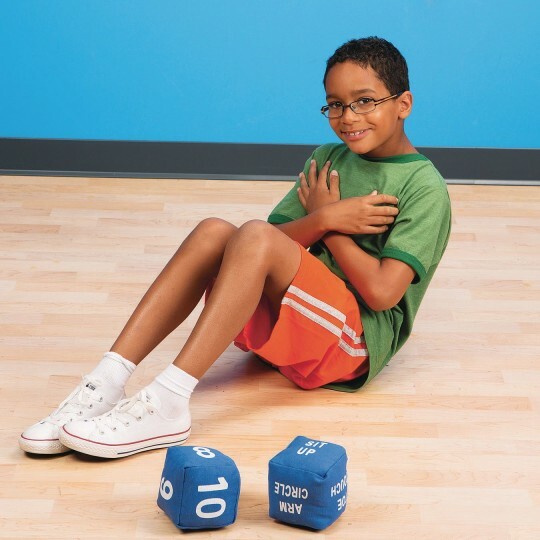 The dice are easy to use and durable! I always start my kindergarten fitness classes with an energizer. 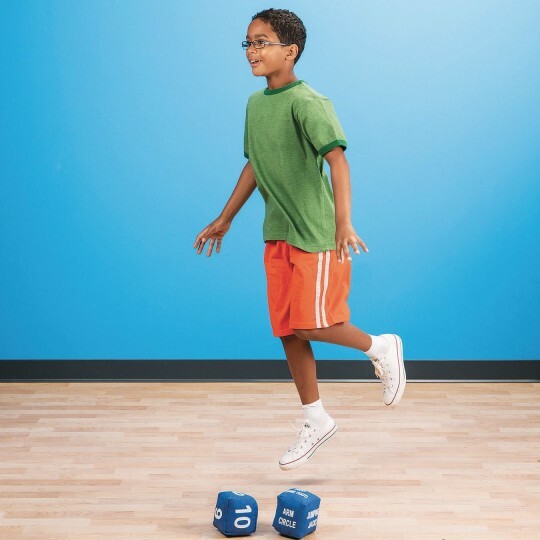 The kids love to roll the dice and do the activity. Simple concept is well done. Very nice the youth like this product to get them moving.